Jennifer Alonso García joined the Department of Economics, Econometrics and Finance at the University of Groningen as a tenure-track Assistant Professor in July 2018. She was previously employed at CEPAR, UNSW Business School and Université Catholique de Louvain as a post-doctoral and doctoral researcher, respectively. She has also worked in the industry as a Risk advisor in the area or Solvency II and MCEV. She completed her studies in mathematics in Spain and Germany, and received her Masters and PhD in Actuarial Science from the Université Catholique de Louvain in Belgium. She is also a member of the Belgian Institute of Actuaries. Her research combines the areas of actuarial science, household, pension and quantitative finance to study the design, risk-sharing and financing of funded and pay-as-you-go retirement income schemes. Jennifer is currently involved in research projects on household's financial decision making during retirement, welfare analysis of drawdown structures, as well as pricing and hedging guarantees embedded in variable annuities. Andres Barajas Paz is a PhD student in Actuarial Mathematics at Heriot Watt University in the UK. His supervisors are Prof. Andrew Cairns and Dr. Torsten Kleinow. He is supported through a PhD scholarship from the Actuarial Research Centre of the Institute and Faculty of Actuaries (IFoA). He received his BSc degree in Actuarial Science from the Faculty of Science of the National Autonomous University of Mexico (UNAM). He also holds a MFin (Hons) degree from UNAM. His research is focused on developing mortality models for countries where their population data is affected by age heaping. Andres is also collaborating as a volunteer with HMD to see how their approach can be adapted to Mexican data for producing complete life table series, which is also relevant to international reinsurance. David Bell has over 20 years of experience in investments, portfolio management, retirement outcomes, and risk management. He has man aged investment portfolios and investment teams, and consulted to and educated many groups onshore and offshore within the financial services industry, as well as academia. David holds a Bachelor of Mathematics (Applied Mathematics and Statistics) from the University of Newcastle and a Master of Applied Finance from Macquarie University. He is currently studying towards a PhD at the University of New South Wales, where he is researching multi-period portfolio construction. David is an honorary fellow at Macquarie University, where he lectured on hedge funds. Alexandre Boumezoued is leading the Research & Development team in Milliman Paris office, covering modelling topics in life and non-life insurance as well as financial risks. Alexandre's current research interests deal with stochastic population dynamics and its use for longevity and mortality risks purposes, stochastic micro/macro non-life reserving models, as well as calibration methods for interest rate and credit risk models. During the last years, Alexandre has given talks in international conferences and working groups worldwide, and courses in actuarial centers in France. 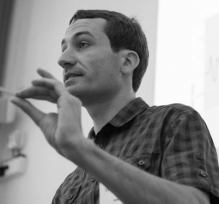 Alexandre received his PhD in Applied Mathematics from Paris 6 University (Probability and Random Models Laboratory), for which he has been awarded by the 2016 PhD SCOR Actuarial Prize. Nicholas Bugler is a U.K. partner in the London office of international lawfirm Willkie Farr & Gallagher. He advises on a wide range of issues affecting the international insurance and reinsurance industries. He advises both insurance and reinsurance companies, insurance general agents and investors of all types. Recently he has specialised in the intersection of the reinsurance and capital markets industries. Nick has advised on major corporate transactions, including complex reinsurance relationships between seller and buyer, mergers and acquisitions, the restructuring of an insurance business including cross-border transfers of an insurance portfolio into the UK; insurance business transfers under Part VII of the Financial Services Markets Act 2000; loss portfolio transfers and security arrangements offered to reinsurers. He has advised on the establishment of numerous “side car” reinsurance vehicles for UK and European insurers and advised on “cat bonds”. The interface between the reinsurance and capital markets is a significant part of his practice. He is noted as a specialist in the developing insurance linked securities market and the provision of collateralised reinsurance. Another area of specialism is in advice on longevity reinsurance transactions, having first advised on such transactions in 2008 and he has been involved in many transactions since then. Andrew Cairns is Professor of Financial Mathematics at Heriot-Watt University, Edinburgh, and Director of the Actuarial Research Centre of the Institute and Faculty of Actuaries. He is well known internationally for his research in financial risk management for pension plans and life insurers. In recent years, he has been working on the modelling of longevity risk: how this can be modelled, measured and priced, and how it can be transferred to the financial markets. Amongst his work in this field, he has developed a number of new and innovative stochastic mortality models. 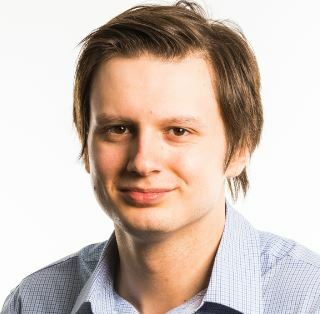 He has been awarded a number of prizes for his work on motyality including the Halmstad Prize from the Society of Actuaries and the Robert I Mehr Prize from the American Risk and Insurance Association. Hal Caswell is Professor of Mathematical Demography and Ecology at the University of Amsterdam. His work focuses on demographic analysis, usually relying on matrix theoretic methods, of humans, animals, and plants, with questions related to evolution, conservation, stochasticity, heterogeneity, and health. He received a PhD in zoology from Michigan State University and was Senior Scientist at the Woods Hole Oceanographic Institution for many years. He is recognized for contributions to mathematical demography and population biology, and has received two Advanced Grants from the European Research Council. Iain Currie is an Honorary Research Fellow in the Department of Actuarial Mathematics and Statistics of Heriot-Watt University. He has presented a number of papers with Stephen Richards and others to the Institute and Faculty of Actuaries on the modelling and forecasting of mortality. In his statistical work he is best known as the joint creator of GLAM or Generalized Linear Array Models. The book Modelling Mortality with Actuarial Applications with Stephen Richards and Angus Macdonald published by Cambridge University Press appeared earlier this year. Hippolyte d’Albis is professor at the Paris School of Economics and senior researcher at the French National Centre for Scientific Research. He has completed his Ph.D. studies in Economics at the University of Paris I, in December 2003; then, he has been recruited as an Assistant Professor at the University of Toulouse I, as a Professor at the University of Montpellier III and in September 2011 as a Professor at the University of Paris I. He is specialized in Demographic Economics, and more precisely on population ageing and migration issues. A research that was supported by many grants including a starting grant from the European Research Council. Hippolyte d’Albis serves as an associate editor at the Journal of the Economics of Ageing, the Journal of Demographic Economics and Public Finance Review. Between 2015 and 2017, he was deputy director for science at the National Institute for Social Sciences and Humanities of the National Centre for Scientific Research. Yunus Ergemen an Assistant Professor at the Department of Economics and Business Economics at Aarhus University. He completed his PhD in Economics at Universidad Carlos III de Madrid, specializing in the theoretical development of flexible nonstationary panel data models. Among his current research interests are time series and panel data theory, mortality and cause-of-death modeling and forecasting, and energy economics. Yu (Crystal) Fu is a PhD student In Actuarial Science, China Institute for Actuarial Science, Central University of Finance and Economics and a Research Fellow, at the Beijing Insurance Research Institute, China. Michel Fuino is a PhD in Actuarial Science candidate at the University of Lausanne under the supervision of Professor Joël Wagner. His research interests focus on long-term care. As part of this, he has derived duration dependent actuarial tables and produced forecasts of the future elderly population in Switzerland. His industry experience includes working as a junior business analyst in the Life & Health Chief Pricing Office of Swiss Re. Doug Fullam is a Senior Manager at AIR Worldwide, a global organization that provides extreme event modeling solutions for natural catastrophes, terrorism, pandemics, casualty catastrophes, and cyber incidents. Doug has significant experience working with risk modeling and analytics, much of which has been dedicated to outbreak, epidemic, and pandemic risks. He has led a number of insurance, reinsurance, broker, and capital markets initiatives, most notably AIR’s work with the World Bank for their Pandemic Emergency Financing Facility project. Doug is a qualified actuary with the Society of Actuaries and previously worked for Towers Perrin (now Willis Towers Watson). Viktoriya Glushko is a PhD-student under the supervision of Pr. Séverine Arnold at the Faculty of Business and Economics, University of Lausanne. Her research focuses on the cause-specific mortality modeling. 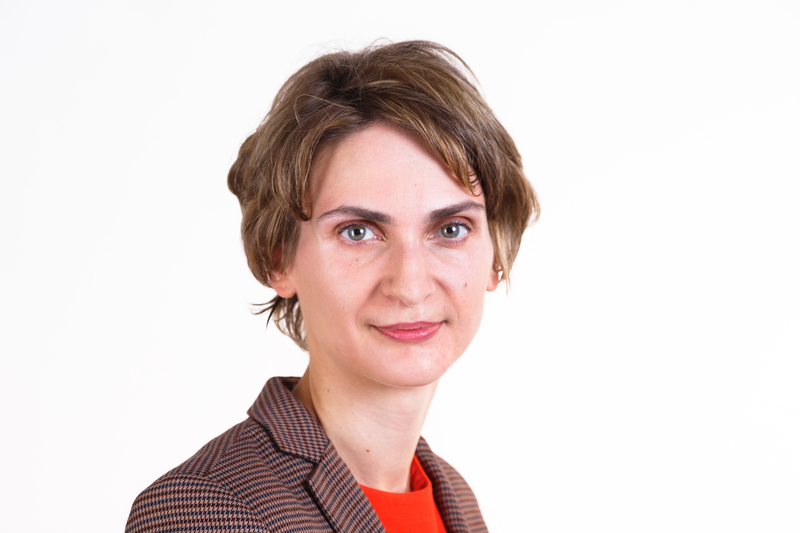 Before joining the PhD program Viktoriya worked as an actuary for a pension consulting company advising companies on different aspects of pension plan management. 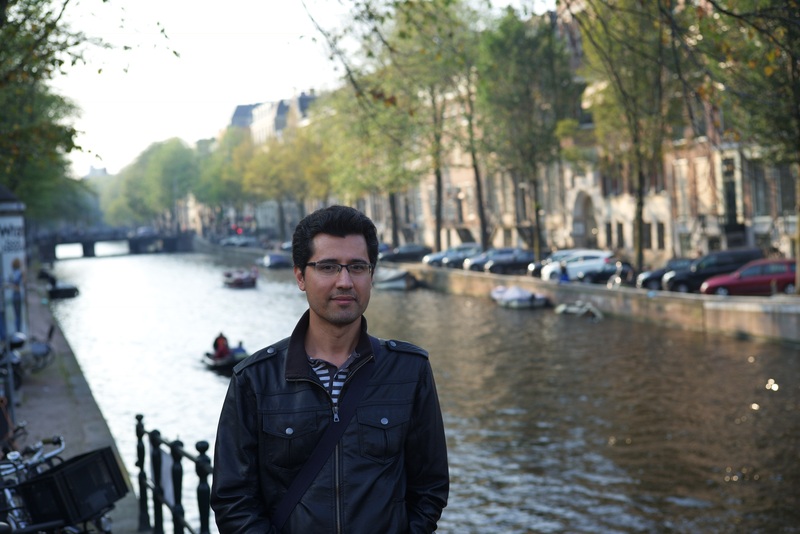 Hamza Hanbali is a Doctoral candidate since September 2015, under the supervision of Prof. Dr. Jan Dhaene. He is currently working on different topics, including longevity risk management, health insurance and dependence modeling. Peter HIEBER is a Senior Research Fellow at the Institute of Insurance Science at the University of Ulm, Germany. His research interest lies in Risk Management and Insurance with a current focus on the design, pricing and risk management of retirement products. Peter holds a M.Sc. in Finance and Information Management and a Ph.D. in Mathematical Finance from the Technical University of Munich. Malene KALLESTRUP-LAMB is an Associate Professor of Economics at CREATES, the Department of Economics and Business Economics at Aarhus University and a PeRCent Research Fellow. She is an active researcher in the fields of time series econometrics and microeconometrics, with particular focus on mortality, longevity, ageing, pension, retirement and health. She has provided useful insight in explaining and identifying longevity trends and contributed with new types of mortality data that allows both pension funds and governments the ability to account for characteristics such as marital status, affluence, and cause of death in the estimation and forecast of mortality. She teaches the course ‘Life Insurance and Pension Economics’ and is the coordinator of Finance courses for the Economics program and the master program in Finance and International Business. 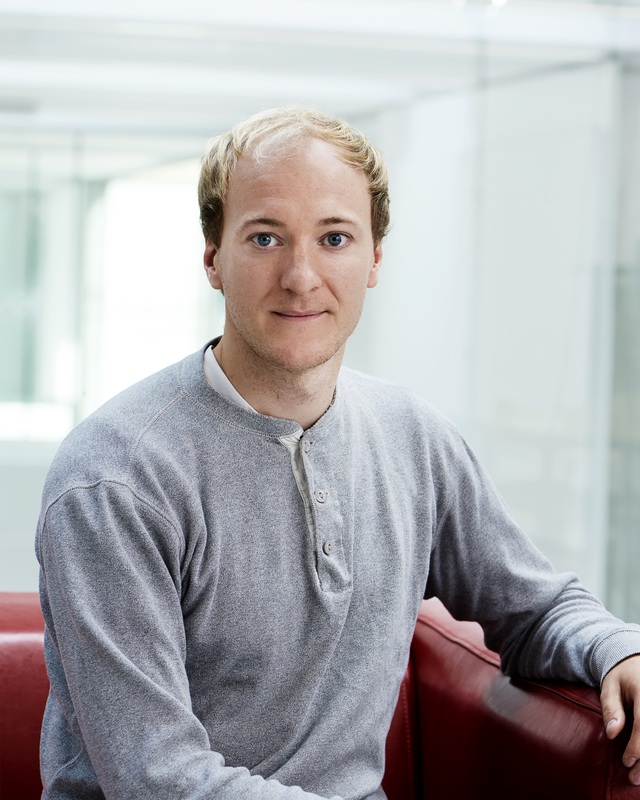 Søren KJÆRGAARD is a Ph.D. candidate at University of Southern Denmark where he is affiliated with the Center on Population D ynamics (CPop). He received his master degree from the in Economics at Aarhus University and among his current research interests are mortality and cause-of-death modelling and time series econometrics. Torsten KLEINOW is Associate Professor at the Department of Actuarial Science and Statistics at Heriot-Watt University. Torsten is an expert on mortality modelling. His current research focusses on stochastic models for multiple populations. He is a member of the Institute and Faculty of Actuaries’ Life Research Committee. Han Li is a Lecturer at Macquarie University in Sydney, Australia. Before that, she worked at the University of New South Wales as a Senior Research Associate. She received a Bachelor of Commerce (Honours) degree in Actuarial Studies at the University of Melbourne and completed her PhD degree at Monash University. She has a broad range of research interests around longevity and mortality risks, population ageing and retirement financial products. 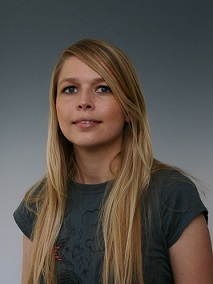 Specifically, much of her research expertise is in the field of mortality modelling and forecasting using advanced econometric and statistical techniques. 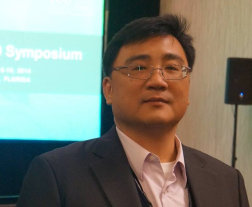 Han’s research has been published in top tier journals including Insurance: Mathematics and Economics, Journal of Forecasting and Annals of Actuarial Science. Johnny Li is Professor of Actuarial Studies at The University of Melbourne and Professor of Actuarial Science at the University of Waterloo. He holds a Ph.D. degree in Actuarial Science and is a Fellow of the Society of Actuaries (FSA). He is a Co-Editor of the North American Actuarial Journal and was a member of the board of directors of the Asia-Pacific Risk and Insurance Association. 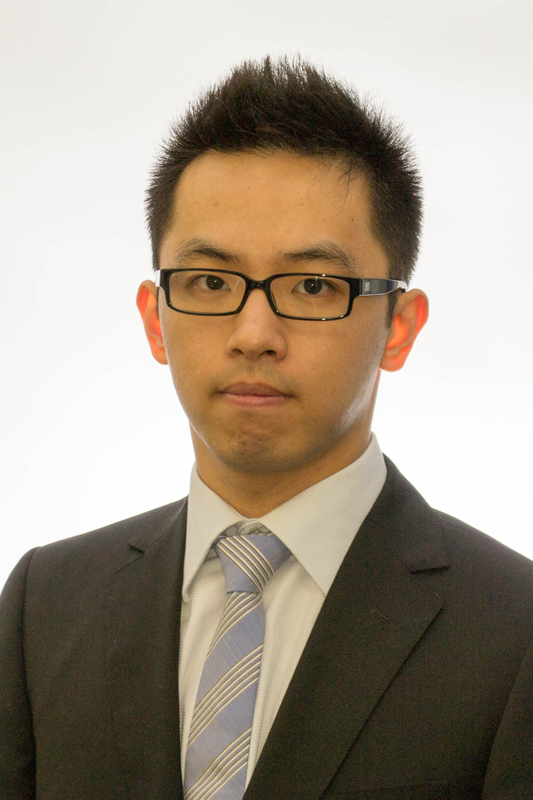 Yulong Li is PhD student at the School of Risk and Actuarial Studies/ School of Business/ University of New South Wales (UNSW). He is also a Research Assistant at the Centre of Excellence in Population Ageing Research (Cepar). Estelle Liu is a Quantitative Analyst at Mine Super focusing on retirement solutions. She qualified as an Associate of the Institute of Actu aries of Australia (AIAA) and Chartered Enterprise Risk Actuary (CERA). Estelle holds a Bachelor of Commerce with a first-class Honours in Actuarial Studies at UNSW Australia. Estelle is also the deputy convenor of the Actuaries Institute’s Superannuation Projection and Disclosure Sub-committee. Pintao Lyu is a Ph.D. candidate at CentER of Tilburg University and Pricing & Hedging Department of Nationale-Nederlanden. His research fields are Risk Management, Asset Pricing and Financial Econometrics. 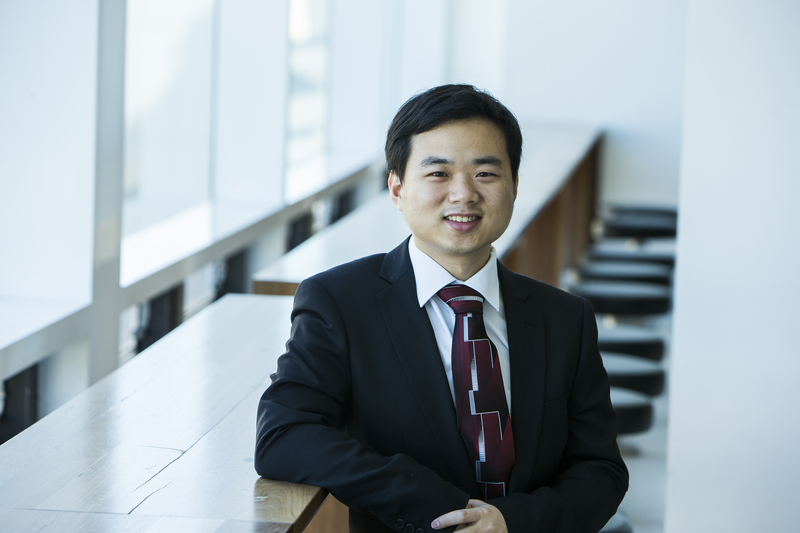 He focuses on the topics such as longevity risk, annuity pricing and mortality modelling.Pintao received his M.Phil in Economics from CentER of Tilburg University in 2017, and a B.A. in Economics from Central University of Finance and Economics in 2015. Kirsty Maclean is a senior associate in the London office of international lawfirm Willkie Farr & Gallagher. She advises insurance, reinsurance and other financial institution clients on a broad range of non-contentious matters. Kirsty has particular expertise advising on complex (re)insurance transactions (and related security arrangements) and regularly advises on life and pensions risk transfer transactions in the United Kingdom. Her practice also includes advising on policy documentation, (re)insurance business restructurings and capital optimisation projects, regulation of (re)insurers in the UK and Europe and the interface between (re)insurance and the capital markets. Kirsty has gained substantial experience working in-house in the insurance and reinsurance sectors. In particular, she advised Swiss Re’s life and health structured transactions business in Europe and Asia prior to joining Willkie. In her previous role at Swiss Re, Kirsty served as the governance secretary of the LLMA (Life and Longevity Markets Association), a not for profit organisation established to promote a liquid traded market in longevity and mortality related risk. James Maloney is Head of Longevity Modelling at Club Vita: a vibrant community pooling data from over 220 large defined benefit pension schem es. He leads on both the design and application of a range of mortality and longevity models, including the calibration of VitaCurves (the Club’s flagship baseline mortality prediction model). Annamaria Olivieri is Professor of Mathematical Methods for Economics, Actuarial Science and Finance, Department of Economics and Management, University of Parma (Italy). Degree in Business Economics, University of Parma (Italy); degree in Actuarial Science and Statistics, University of Florence (Italy). PhD in Mathematics for Financial Markets, University of Brescia (Italy). Actuary (Italian professional body). Associate Investigator of CEPAR, UNSW (Sydney). Her research areas include life and health insurance modelling and risk management. She is Associate Editor of the European Actuarial Journal and in the editorial board of Risks. She is an author and co-author of many research articles and some textbooks in life insurance mathematics. In 2011 she was awarded the Bob Alting von Geusau Memorial Prize, together with Ermanno Pitacco, for the best paper published in the ASTIN Bulletin on an AFIR related topic. She has presented in continuous professional development courses and masters programmes (in Italy and abroad) for both actuaries and non-actuaries, in the field of actuarial mathematics and risk management techniques. 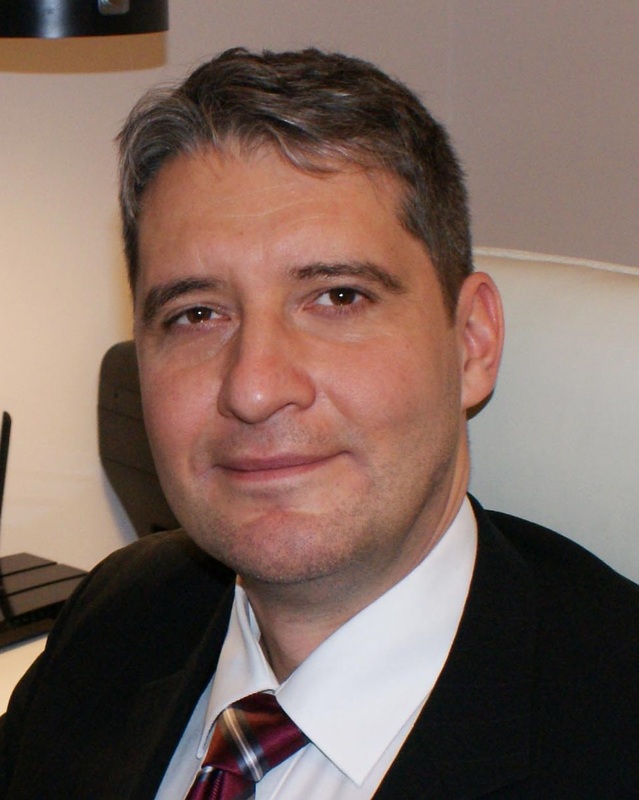 Radoslaw Pietrzyk is an associate professor at Wroclaw University of Economics, Department of Financial Investments and Risk Manag ement. His main areas of interest are risk management, portfolio management and portfolio performance evaluation. Currently, his interest is focused on life-cycle-spanning models of household financial plan optimization, especially – the risk management aspects of such models. He is involved in a research project within which an integrated model of risk in life-long household financial planning is developed. He is a co-author of a book called “Integrated Risk Model in Household Life Cycle”, which was prepared as part of the project and concludes its current achievements, proposals and problems. 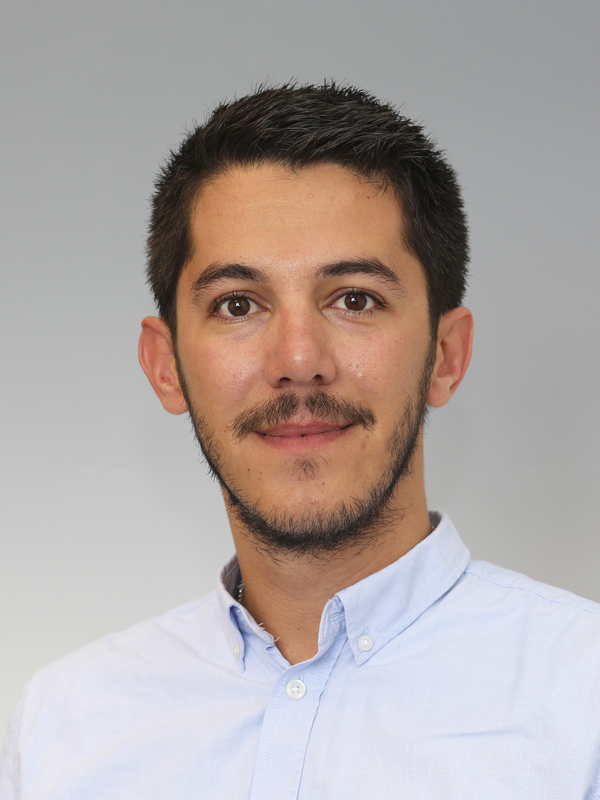 Cristian Redondo Loures is a Research Fellow at Heriot Watt University, working in the project "Modelling, Measurement and Management of Longevity and Morbidity Risk". His current research focuses on inequalities in cause-of-death mortality and the key drivers behind them. Catherine Reilly is Global Head of Research on the Defined Contribution team. In this role, she is responsible for advancing thought leadership , product development and global best practices in DC. Prior to joining State Street, Catherine was Chief Economist of Pohjola Asset Management in Finland, where she advised large institutional clients on the macroeconomic outlook and asset allocation. Before entering the asset management industry she worked as a consultant for McKinsey & Co in the Helsinki office. Catherine has a Master in Public Administration from the Harvard Kennedy School of Government and a MSc in Economics from the Helsinki School of Economics. She has conducted extensive research into global best practices for retirement system design and strategies for providing income in retirement. She earned the Chartered Financial Analyst designation and is a member of the CFA Institute and the Boston Securities Analyst Society. Jimmy Risk is a tenure track professor at Cal Poly Pomona in the Mathematics and Statistics program. His research interests involve using modern machine learning tools in financial and actuarial applications. His most recent work uses Gaussian Process regression to model mortality rates and improvement, as well as their applications in pricing and quantile calculations (e.g. solvency requirements). Ralph Rogalla is an assistant professor in the School of Risk Management, Insurance and Actuarial Science at St. John’s University in New York. He received his Ph.D. in Finance and his habilitation from Goethe University in Frankfurt, Germany, and he was Metzler Visiting Professor at the Wharton School, University of Pennsylvania, in 2014. His research focuses on pension finance and household portfolio choice, and it has been published repeatedly in leading academic journals in the fields of risk management, finance, insurance, and actuarial science. 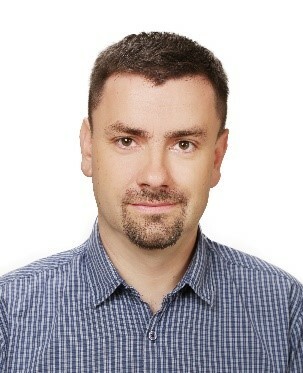 Pawel Rokita is an associate professor at Wroclaw University of Economics, Department of Financial Investments and Risk Managemen t. For several years, his research was focused on the area of market risk measurement and dependence measurement, including dependence between extreme values. At present, his interests encompass such fields as stability of financial system, systemic approach to financial markets, legal aspects and taxation of derivative instruments, and personal finance. As far as the field of personal finance is concerned, he is a member of a research team which is developing a life-cycle-spanning integrated model of household risk. As part of this project he coauthored a book called “Integrated Risk Model in Household Life Cycle”. Ahmad Salahnejhad Ghalehjooghi (July 20, 1980 in Tehran, Iran) completed his studies in Statistics (BSc. 2003), Actuarial Science (MSc. 2007) , Finance-Risk Management (MSc. 2012). He started his professional life in 2005 in Parsian Insurance Company of Iran as a life actuary and life insurance manager to develop the business for the company. He was involved in research, teaching and applied and industrial assignments related to life and pension business in Iran. In 2012, he started the PhD in Actuarial Science at Maastricht University and under supervision of Prof. Dr. Antoon Pelsser. worked on the actuarial pricing/valuations and became specialized on techniques to implement the Time-Consistent and Market-Consistent valuations for different insurance liabilities. Meanwhile, he was also a researcher of HPCFinance project in Marie-Curie funded by European Union Seventh Framework Programme [FP7/2007-2013]. His PhD ended up with three papers on time-consistent and market-consistent actuarial valuations and its applications on pricing the life/pension liabilities. Right now, as an actuary, he works on the solutions for the Mortality Differentiation and the Longevity Hedging under the socio-economic attributes in the Expert Center of the Nationale-Nedelanden. Concurrently, he is the guest professor of the Actuarial Research Group in KU Leuven collaborating with different missions with Prof. Dr Jan Dhaene. Elio Sanchez is the Head of Pension Supervision at the Superintendence of Banks, Insurance companies and Private Pension Fund Managers of Peru. He joined the Peruvian private pension regulator 25 years ago, since the beginning of the Peruvian pension reform that introduced the private administration and defined contribution accounts as a part of the social security protection (Second pillar). He has been involved with the technical support, research projects, and the amendments of the legal framework of this pension system. He is also a member of the board of the International Association of Bodies Supervision of Pension Funds, a civil nonprofit association, composed of the supervisory agencies of funded pension systems in Latin America. Mr. Sanchez studied Economics at Universidad del Pacifico, a prestigious Economics and Business university in Peru. He has a Master Degree in Business Administration, and Doctoral degree in Business Administration. Since 2000 he has been a professor of a pension systems seminar at Universidad del Pacifico. Eytan Sheshinski is the Sir Isaac Wolfson Professor of Public Finance Emeritus at the Hebrew University of Jerusalem. Professor Sheshinski received a B.A. in economics and M.A. in economics and statistics from Hebrew University and a Ph.D in economics from the Massachusetts Institute of Technology.His recent research has focused on the design of pension systems and the taxation of non-renewable resources, social insurance, markets for annuities, behavioral public economics and the social implications of bounded rationality. Professor Sheshinski is a member of the American Academy, the Royal Swedish Academy of Artd and Science and a Fellow of the Econometric Society. He received number of prizes and has a doctor Honoris-Causa from the Stockholm School of Economics. He also served as Chairman of the Board of directors of Koor Industries and on the board of directors of Psagot Investment House. Julien Tomas is leading the Longevity R&D Center in SCOR Global Life covering the assessment of longevity-mortality risk process. Julien’s current research deals with mortality dynamics by cause of death and non-parametric statistical techniques. Julien holds a Ph.D in applied mathematics from the University of Amsterdam and was a postdoctoral fellow in the laboratory of Financial and Actuarial Sciences, ISFA - University of Lyon 1 in partnership with the French Institute of Actuaries. Julien continues teaching survival modeling and demography at University of Paris Dauphine. Jason Chenghsien Tsai is a professor of the Risk Management and Insurance Department and the chair of Risk and Insurance Research Center a t National Chengchi University. Jason’s research interests lie at the intersection of insurance and finance. He has published in the Journal of Risk and Insurance, Insurance: Mathematics and Economics, European Journal of Operational Research, among others. Jason has led and participated in many projects for insurance supervisors, organizations, and companies in Taiwan. He was a Fulbright Scholar visiting Santa Clara University. Jason’s doctoral degree is in Risk Management and Insurance from Georgia State University. He got his Master’s and Bachelor’s of Business Administration from Carnegie Mellon University and National Taiwan University, respectively. Frank van Berkum recently defended his PhD thesis titled “Models for population-wide and portfolio-specific mortality” at the University of Amsterdam. His latest research focuses on explaining observed portfolio mortality. Another research area he is interested in is modelling cause-of-death mortality rates to construct forecasts of population-wide mortality rates. Parallel to working on his thesis, Frank has been working at PwC for several years. He is a manager with a strong focus on insurance companies and pension funds. His main experience is on modelling underwriting risks, Solvency II and IFRS (advice and audit), and in general model validation and model development. In both his work and his research he combines his strong theoretical knowledge with his experience from practice. Joël Wagner is Full Professor of Actuarial Science at HEC Lausanne and Faculty Member of the Swiss Finance Institute at University of Lausanne. His research focuses on current topics in risk management and insurance. Recent and ongoing work studies challenges in financing life, pension, health and long term-care insurance, in actuarial pricing and insurance management. Joël regularly collaborates in projects with insurance companies, conducts field studies, teaches in executive education and presents findings at academic conferences as well as in talks to practitioners. Hsin-Chung Wang had 8 years working experience at the Cathay Life Insurance Company, the largest insurance company in Taiwan. He received Ph.D. degree in Statistics from National Chengchi University in Taiwan. He is now an associate professor in the Department of Finance and Actuarial Science, Aletheia University, and also serves as director in Chung Hua Senior High School. His major research interest is related to statistics and actuarial science, especially emphasizing on longevity risk and experience study (such as mortality rates and incidence rates). His research work appears in Insurance Mathematics and Economics, ASTIN Bulletin, North American Actuarial Journal and Journal of Population Studies. Jie Wen is a second-year PhD student in Heriot-Watt University majoring in Actuarial Science. He has 13 professional actuarial exams following the Institute and Faculty of Actuaries (IFoA) route. Jie Wen worked for Lloyds Banking Group and PwC in actuarial and investment analysis areas. He is currently working on the project sponsored by IFoA: Modeling, Measurement and Management of Longevity and Morbidity Risk. His research focuses on developing multi-population stochastic models for capturing historical mortality patterns and project future life expectancies, and also with application of data science techniques on investigating on big-size mortality data. 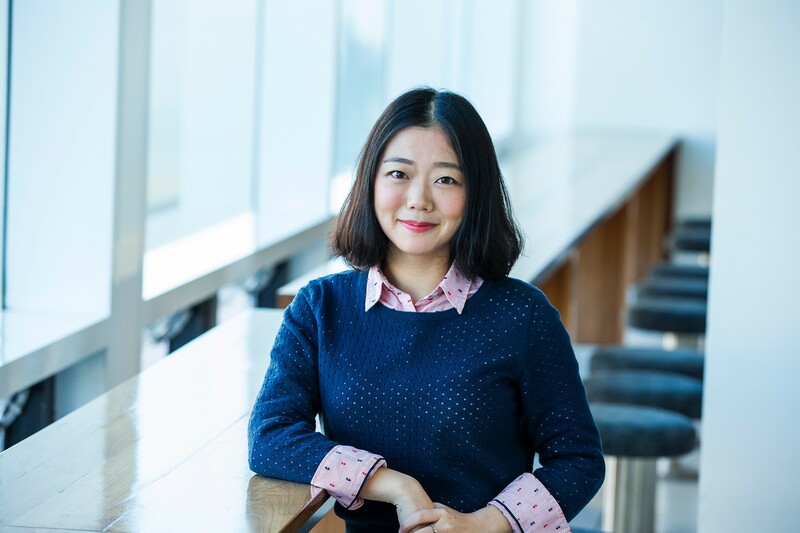 Mengyi Xu is a Senior Research Associate at Australian Research Council Centre of Excellence in Population Ageing Research (CEPAR). She has completed her PhD in Actuarial Studies at UNSW Business School. 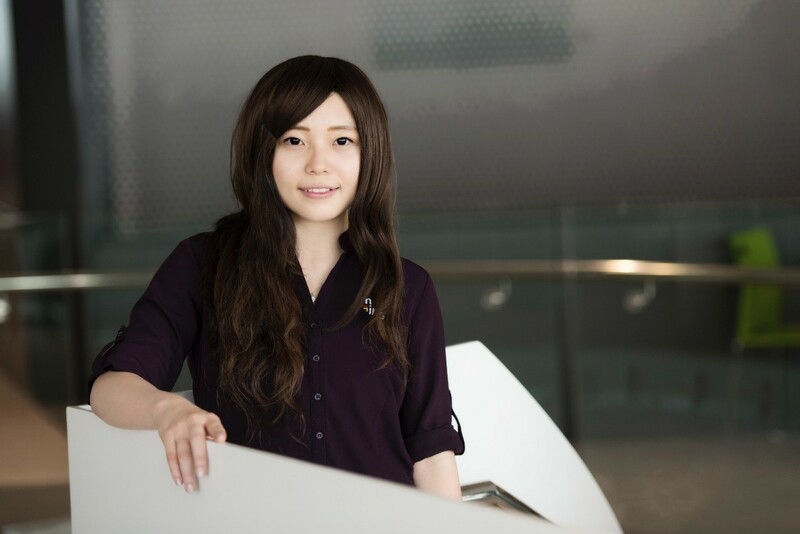 Her research interests include retirement financial products, pension fund management and longevity modelling. She is a Fellow of the Institute of Actuaries of Australia. Ching-Syang Jack Yue is a consultant, an actuary, and a professor of Statistics Department at College of Commerce, National Chengchi University. Jack formed the Statistical Consulting Center and is one of the founders of Survey Center at College of Commerce, National Chengchi University. 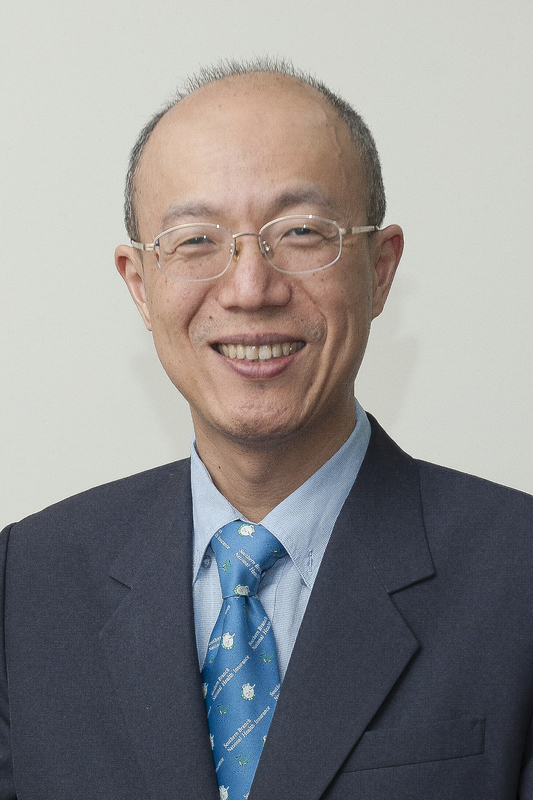 He served as the Chair of Statistics Department, National Chengchi University in 2003~2005 and the Chair of Taiwan Population Association in 2011~2013. Jack has been a consultant and advisor for private sectors and Taiwan government. He has been working on the research topics in actuarial statistics, such as longevity risk, study of experienced rates (including life table construction), and insurtech. He is also a leader of Big Data research team at College of Commerce, National Chengchi University. His research work can be found in many academic journals, such as ASTIN Bulletin, Geneva Papers on Risk and Insurance, Insurance: Mathematics and Economics, Journal of Clinical Nutrition, North American Actuarial Journal, and Population Studies. 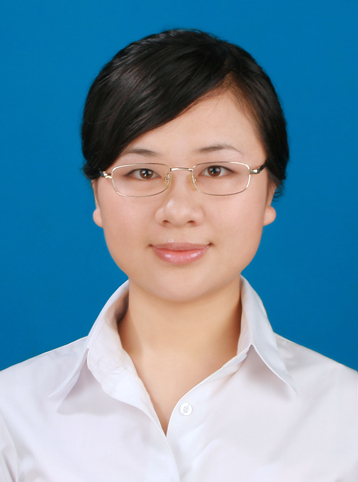 Yuxin Zhang is a Ph.D. student at the University of Texas at Austin. She is with the Group of Risk Analysis and Decision Making, in the Department of Information, Risk, and Operations Management (IROM) at the McCombs School of Business. Her research interest lies in the area of longevity risk and financial planning. She also works on a broad range of problems in the intersection of risk management and statistical learning.